I’m starting a new post series called Which Cover Wednesday. It will focus on two different covers for the same book (It could be covers from the same publisher, different publishers, ebook covers or ones in different languages) and put them side by side. I’ll give my opinion on which one I think did it better and feel free to do the same in the comments below. I honestly like the first one more than the second, just because I feel that the second one doesn’t seem to totally suit the story. It looks too lovey dovey, and while Perfect Chemistry did have those moments, it also had dark and scary moments, too. 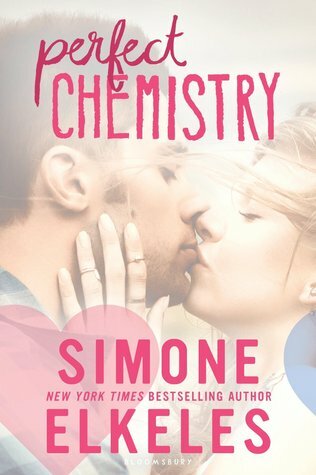 In this case, I like the second cover better because I just don’t think Juliette was that strong in the first book, from what I can remember. She had the powers, but emotionally I don’t think she was strong enough to strike a power pose like that. 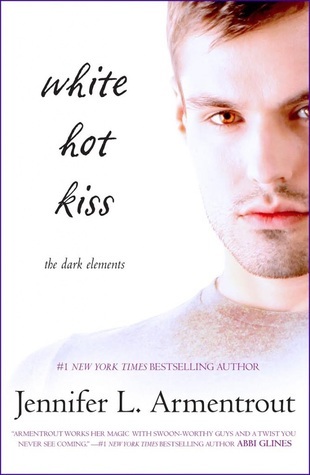 Well, it is called White Hot Kiss for a reason, and what better way to show that then by having it represented on the cover? First cover all the way! 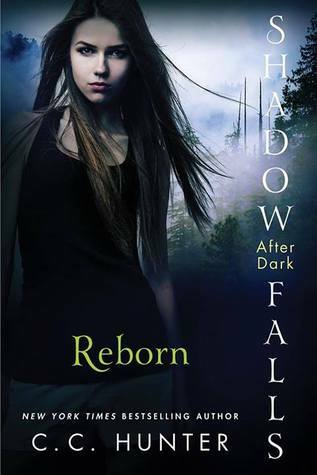 While I do like the first cover more, because I get to see Della’s face, I think the second cover is neat in that it pays homage to the covers of the first series, Shadow Falls. The previous series has its model in the centre of the cover and roughly around the same size. Take a look at these covers! 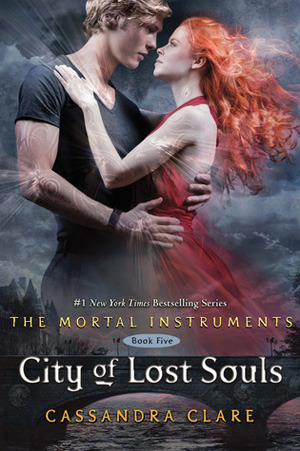 Even though I’m used to seeing the first one, it’s the second cover that captures my heart! Just look at the way Clary is shorter in the second one and the fact that she’s wearing clothes that look like something she would normally wear. Also, that almost kiss is so tantalizingly beautiful! So what do you think? Do you agree or disagree? I’d like to hear your thoughts on this. This time, I’m writing a review on Frostfire by Amanda Hocking. Now Frostfire is the first book of Amanda Hocking’s second series concerning Trolls. Instead of focusing on the Trylle and Vittra, like last time, she introduces other tribes, such as the Kanin, Schojare, and the Omte. It was interesting to see more of this world, especially in Canada (go Canada)! But that’s not all I enjoyed about the story. First off, Bryn Aven is an awesome character. She is strong, determined, and someone who is willing to fight for what she believes in. She also has flaws that make her an actual person and not a robot. Even though she does have a loving relationship with her parents, there is still some tension between them, which I believe to be the reason why she doesn’t invest in romantic relationships. While her parents love each other, they had to sacrifice so much to be together and still do. And Bryn has to, as well. I’m not saying that her parents made a huge mistake in being together, because that would just be supporting the bigotry aimed at them throughout the novel. What I’m saying is that this is not a fairytale, so the lovey dovey relationship isn’t exactly perfect and does have some consequences. I just hope that at the end of this series, Bryn’s world can be more open to the idea. Then there’s the plot. While I loved reading the book, there were moments where I felt that Bryn’s storyline paralleled Wendy’s from The Trylle Trilogy. Wanting someone you can’t have, facing adversary and all that jazz. Thankfully, this book retained its own identity and was not a carbon copy of The Trylle Trilogy. It looked at things in a different class perspective. Wendy was royalty while Bryn is a tracker, one of the lowest positions class-wise. Wendy possesses magic while Bryn has to fight twice as hard without any abilities. I could go on, but I won’t. Instead, I’ll just say that they are more different than similar. You would think that since this is a second series, the plot would be tangible, but no. I think this has to do with the first series, at least for me. I remember there would be times where I think one thing was about to happen when in reality, the opposite occurred. That’s not to say that the first series is totally influential in my reading of Frostfire. In fact, the major twist at the end was something I did not see coming (hence my calling it “the major twist”). And I’m not sure what’s going to happen next, although I have a few guesses up my sleeve. I’m kind of curious about Konstantin and what exactly is going on in that brain of his. What about Schojare’s king or what happened there? Is there more than one tribe as the enemy? Is the enemy closer than we think? Sure, if you’ve read the book, you’d know that one mastermind was revealed, but I don’t think Amanda Hocking has shown us everything we need to know yet. Otherwise, there would be no need for books two or three. So, did I enjoy reading Frostfire? Yes, I did enjoy it. I didn’t get bored throughout the book or wanted to DNF. Would I recommend it to others? It wouldn’t be my top recommendation but it would be on my list. Ad who knows? Maybe the series will turn out to be so epic that I recommend it without thinking of any other books first. That’s all I have to say about the Kanin Chronicles for now. Sorry I had so little to say about Frostfire, but if you have any questions, feel free to comment on this post. Anyway, have fun everyone and keep reading! Yay! I finished Velvet! And now I’m going to try and review it better than last time… I know that my first review on this blog was kind of horrible, because I just wanted to get it out there, before I moved on to another book. This time I’m going to be a bit more careful with how I write this post. https://www.goodreads.com/book/show/22561320-velvet)! And I couldn’t wait to read it; I only had to finish some other books on by TBR pile, as well as focus on summer school. Once those things were out of the way, I sat down and started reading Velvet, hoping for the same feelings I had when reading A Little Something Different or All the Feels (two other great books under Swoon Reads). To properly assess this book, I looked at my feelings throughout parts of the novel. In the first part of the book, while I didn’t exactly lose interest, I also didn’t understand what was going on. In my mind (and out loud), I was wondering “when are we going to get to the supernatural part?”. Because, honestly, it seemed pretty normal throughout the first third of the book. If I didn’t know any better, I would have thought Velvet was a contemporary instead of a fantasy/paranormal novel. It was almost like this: girl has issues, girl meets boy, and then girl deals with her problems. Almost, but not quite. This is because as soon as we get settled down into the narrative, Adrian (our main hottie) pulls an Edward and says he’s a vampire. Which wasn’t that much of a surprise, if you’ve read the blurb of the book; it was only a matter of time before he told Caitlyn (our protagonist). So even though I was able to read the first part of the novel without cringing, at the same time, I wouldn’t say that I was amazingly sucked into it. The reasons I kept on reading were more due to the fact that I was expecting something to happen. Also, I bought the book, which limited my ability to DNF. If I were to rate the first part of the book, I would give it a 3.5 star rating. 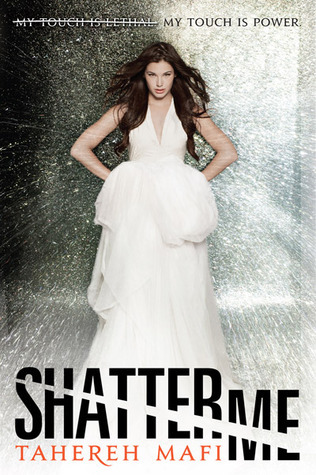 While reading the second part of the book,I saw so many similarities to Twilight that I couldn’t think straight. Like when she visited his house, the fact that he’s so wealthy, the snuggling in bed or the other little tidbit, you know… dying after giving birth to a demon’s child (who, btw, was his father). It got me wondering if Twilight could be considered a modern classic. I mean, people give a hard time, but there were many books that weren’t given the time of day that are now considered classics or worth reading. It was interesting seeing these similarities, but I am also thankful that it wasn’t an exact copy of Twilight and that it had its own twist on things. As far as enjoying the second part of the book, let’s just say it was my least favourite part of the book. It was just too safe, and they had an answer for everything: from Caitlyn’s nightmares to how to keep her safe. For now, the threat that’s supposed to be surrounding Caitlyn was actually nonthreatening, and I could feel myself losing interest. I felt everything about this part of the story to be a bit mundane, including the characters, like Caitlyn, her group of friends, the family unit, Adrian, etc. The only person who I thoroughly liked in this part was Lucian, Adrian’s adorkable little brother, and Trish, Caitlyn’s best friend. Caitlyn seemed dull and a bit of a prude with nothing making her special, other than the fact that she could sow well. Even this ability was being covered because she barely mentioned sowing throughout the first two parts of the book. Her group of friends, with the exception of Trish, shared features that made them similar to Caitlyn and almost unbearable as well. Adrian, on the other hand, seemed to be a Marty Stu, being good at almost everything. Without those awkward moments between him and Cait, I think I wouldn’t have liked him much. It’s like his amazingness showed how mediocre she appeared in comparison. To me, this part of the story deserved a 3.0-3.5 star rating as well. You’re all probably wondering “Well, how come you gave it four stars as your rating?” Well, I have the third part of the book to thank for the overall rating. It wasn’t until the awkward moment when they were caught in bed together by her family that I caught interest again. Instead of only exclaiming “Aggggggghhhhh!”, at the same time, I was thinking “Yay! Trouble = conflict= the story is going to get interesting!” And it did. Once she didn’t have Adrian’s presence, physically or emotionally, I started to warm up to Caitlyn again. And Adrian was less of a Marty Stu and more of a *insert bad word here*. There would be moments where she would impress me, like when she was talking to Julian after Adrian started giving her the cold shoulder. As for the major danger, I found it pretty ironic that it occurred mainly because of Adrian, even though Adrian tried to protect her physically and emotionally, by distancing himself from her. I understood why he was trying be a jerk to her right off the bat (because of the rule that vamps and humans cannot coexist in love), but it didn’t excuse his behaviour. He could have easily talked to her like a person, instead of deciding what’s best for her. What his behaviour just did was make her more vulnerable and wanting a connection with someone, which is how his father (aka major danger) got past their “defences” and almost killed them both. No wonder Caitlyn is pissed at him and herself (him, for treating her that way, and herself for putting them both in danger)! I liked how even though she admitted to loving him, it doesn’t take away from the fact that he was being a *insert bad word here* and that the author doesn’t let him get away with it. So, right now on the side bar, you can all see that I’m reading The Lexie Project by Heather Demetrios. 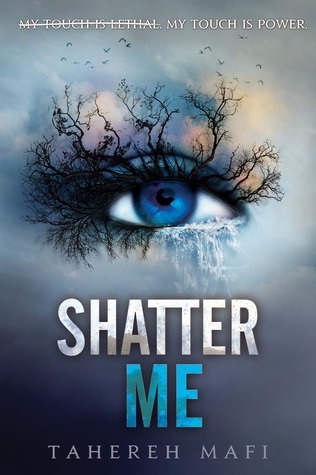 This is the sister novel of Something Real in the POV of Chloe Baker’s sister, Lexie (for those of you who don’t know, Chloe is the protagonist of Something Real). It’s about Lexie’s experience in seeking fame and allowing us to understand her opinion on the media, rights to privacy and what it means to be a good person. For those of you who haven’t read Something Real, Lexie is different from Chloe, in that she actually wants the media’s attention and has a different personality when it comes to decisiveness, relationships, fashion and a lot of other things. Point is, they are not the same person and her story is not exactly a sequel to Something Real. It does contain characters who were a part of Something Real, as well as some new faces. Trust me on this one; if you liked Something Real, you’re bound to like this new story from Heather Demetrios. Where can you find it. Well, look no further than Wattpad, where Heather Demetrios posts chapters every Wednesday. The story is ongoing at the moment, so if you still see it on the Goodreads sidebar after a few weeks, it’s because I’m still waiting for the ending! So access it while you still can and read it! 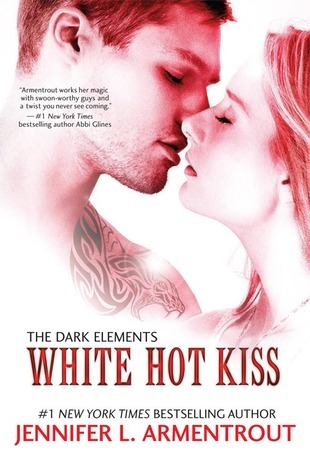 Just look it up in the search bar on Wattpad or you could go to Heather Demetrios’ Wattpad page. Her username is @HeatherDemetrios, in case you’re wondering. Also, I’d like to add that Heather does not only have a story for Lexie, but represents her in multiple forms of social media. Lexie Baker has a Twitter account, Instagram, Tumblr and Pinterest. So if you’re interested in more Lexie Baker, check those out as well! All I have to say for now! Keep reading! At first, I couldn’t get into it because of the way I’m introduced to Montana. I didn’t find her likeable (to be honest, she seemed a bit immature) , but I did think she was intriguing. There would be so many thoughts that I would find brilliant and worth saying aloud. The problem is she never says these things aloud. Even though she was on the losing end of the fight, I wanted to see what happened and if she would right the wrongs set in the beginning. I guess I’ll always love the underdog. Montana is sort of a sad character but with given reason. Her mother left her, followed by several stepmothers. Her father is only looking to change her into the person he wants her to be, because apparently she isn’t good enough aesthetically. In this book, she has a confusing relationship with her sister, who does not want to share her sister with anyone and at the same time, leaves her sister out of decisions and events. Feeling left out of these relationships that should be a given, Montana seeks them out in other places, like a new friend or a boyfriend. Ironically enough, these characters are also seeking out a connection. Her boyfriend, Bernardo, is just crazy about love and loving Montana, while Karissa seems to want a connection for a different reason. All throughout the book, there are instances where characters are trying to control a certain thing. Like when the father, Sean Varren, changes his wives and then divorces them. Or when Karissa uses her family’s “tragedy” to get what she wants. Montana eventually incorporates control in the way she thinks , labelling everything and everyone as “something”, because she cannot hand the unknown. In fact, she even goes to her step mothers and eventually her mother (even though it isn’t shown) to get answers from them, about why it didn’t work out. What this book shows is that sometimes you don’t need to control every little aspect of your life in order to be happy. Throughout the book, there is a lot of drinking going on, and in those moments, the characters are more honest, with truths being revealed that wouldn’t necessarily come out sober. Corey Ann Haydu turns what would be ordinary events in someone’s life into something worth reading, relating and reeling about. This is why I love her writing so much! To this book, I would give a four star rating! I would love to hear what you all have to say about this book or any other books by Corey Ann Haydu. Please comment if you do. Any other tidbits on how to improve my post would be helpful as well! Until next time, keep reading! So this is the first post of my new blog called Sue’s Reading Corner. It will be dedicated to reviewing YA novels, especially those of Fantasy, Paranormal, Contemporary, Dystopian, and Steampunk. I look forward to posting and hearing what everyone has to say. As for me, my name is Sumaya and I have been a book lover since grade six, when I left Canada for Somalia. I’m not sure if I would have gotten into reading without this experience. Probably not. Even though I’m back in Canada, my book craze is going strong, perhaps even more than before! 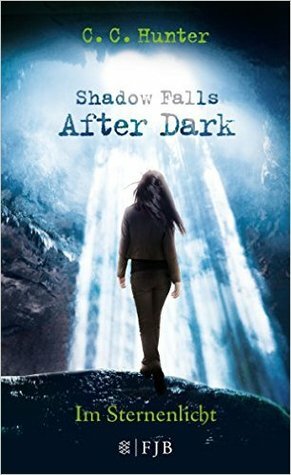 If you have any YA books you would like me to review, do not hesitate to ask. But if not, then I will be posting books of my choice on the site and hope it will affect your reading process in some way. That’s all I have to say for now. Take care and keep reading!